With twelve private villas resonating luxury beyond the hotels in Ahungalla, accommodation at Calamansi Cove Villas by Jetwing expresses an elevated sense of plush privacy. 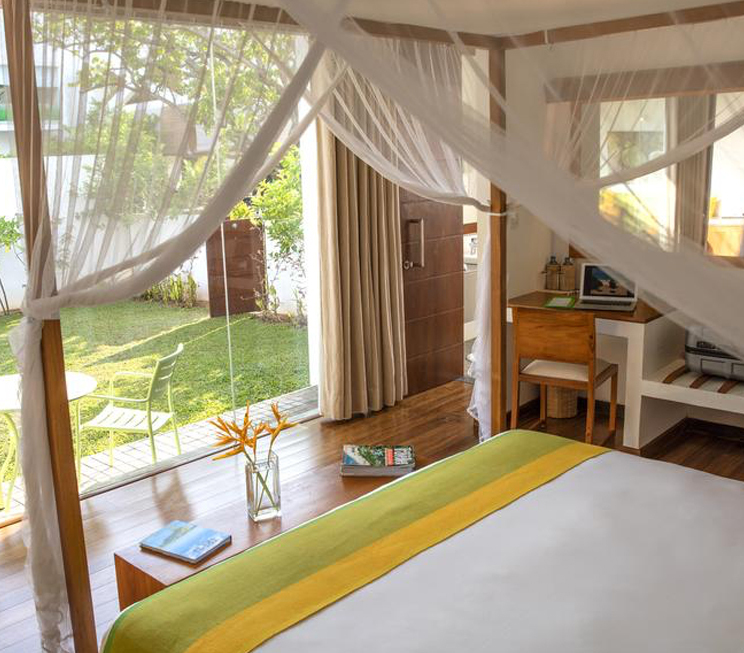 Our spacious villas open out to lush gardens or a 3-mile beach on the Indian Ocean, and each feature a perfectly landscaped garden, roof top terrace and open lounging area designed in a contemporary architectural style for total relaxation. Choose to spend your slumber in either a Private Garden Villa or a Sea View Villa, aptly named after their immediate surroundings. Featuring luxurious coastal interiors, each living space at Calamansi Cove Villas by Jetwing is elegantly designed with tones and accents that complement the blue seas of the Indian Ocean, and the gardens bearing the fruit that lends us our name. 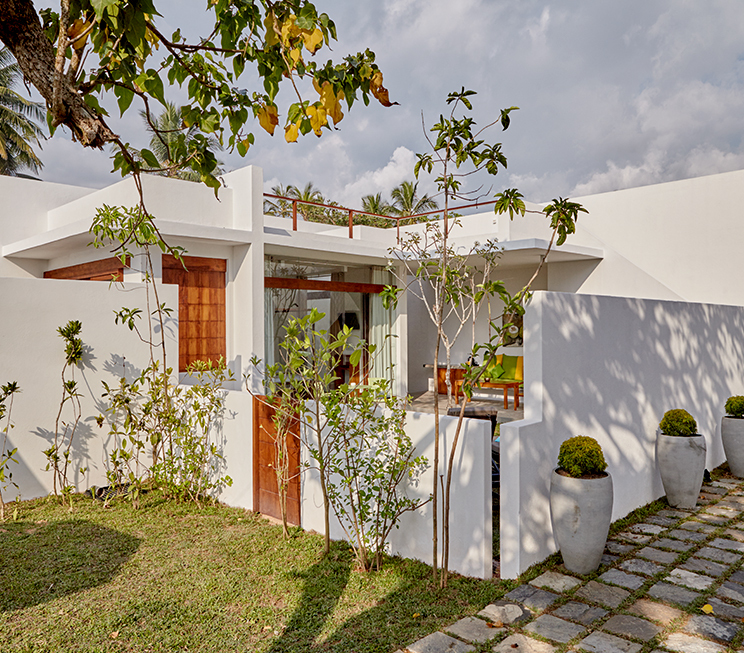 As an added pleasure at this home of Sri Lankan hospitality, each villa also features an outdoor shower area for refreshing soaks under the southern sun, an exquisite four poster bed for absolute relaxation, and even a personalised butler service to cater to your every need. Naturally, your stay at Calamansi Cove Villas by Jetwing is also designed to complement your modern lifestyle with a number of contemporary amenities such as free Wi-Fi, satellite TV, and more.